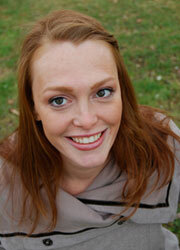 Jessica Bali Hutson - Massage Therapist on Fraser St.
Jessica has always been passionate about health and wellness. Jessica’s love for physical activity inspired her to learn more about the human body and anatomy. She worked in the fitness industry as a Personal Fitness Trainer, Group Fitness Instructor and Yoga teacher for nearly ten years. She realized how powerful Physiotherapy and Massage Therapy were while recovering from an accident that left her on crutches for six months. Throughout her treatment she learned the importance of listening to your body, being patient and finding a method of treatment that works for you. She quickly realized the benefits when she could return to activities she had done prior to her accident. Jessica completed the Registered Massage Therapy program at Utopia Academy in April of 2012. She uses a variety of modalities including deep tissue, myofascial release, trigger point therapy, joint mobilization and stretching. She believes that Massage therapy combined with hydrotherapy and remedial exercise are powerful tools for treating many conditions including whiplash, TMJ Disorder, Thoracic Outlet Syndrome, Tendonitis, Carpal Tunnel Syndrome, Strains and Sprains, among others.